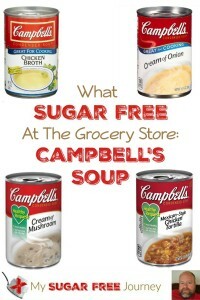 This week’s What’s Sugar Free at the Grocery Store is all about Campbell’s Condensed Soup! 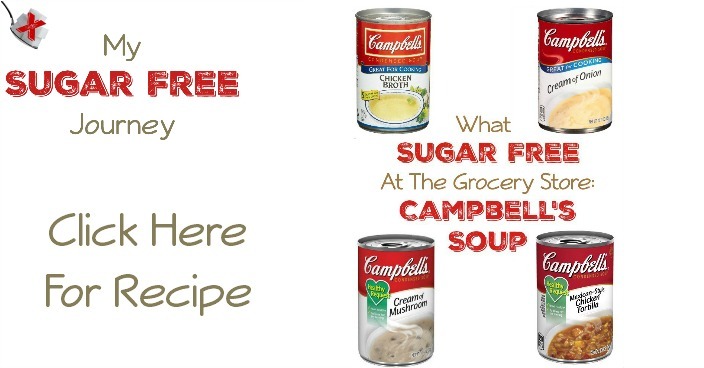 I was going to do all soup but there was a TON of just Campbell’s so I decided to do the Campbell’s Condensed soup this week and I’ll go back for the other brands at another time. A few of the soups contain dextrose, which is a sugar we can eat (because it contains no fructose) but I’ve made sure to note those varieties so you can make an informed decision. Also, you can buy most of these soups online at Amazon or Walmart. If you find this helpful, please subscribe to my daily email to never miss a post. NEXT POST Next post: 3/16 Weightloss Wednesday: 22 Lbs Down!